Finding that one match that may turn into a serious relationship is an easy task. And in the transgender dating world, it may require a little more effort and patience than usual.Nevertheless, with every day that passes, more support and resources are available for transgenders to help them in their search for a compatible partner. We’ve gathered a few dating tips that can make the search for a compatible partner a much easier one. If you are looking to meet a transgender partner organically, the options are fairly narrow unless you live in or near a known transgender community. An excellent resource for those looking to meet up with other transgenders is TransgenderMeetup.com.Over 170 groups from nine different countries are signed up to this site which publicizes a wide range of events specifically for the transgender community. None of the registered groups cater for those looking for casual relationships, but neither are they all about dating; the groups arrange regular social events for transgender people that allow them to meet and get to know other like-minded transgenders. New groups are joining the website all the time and many offer online support in addition to real life events. There is an endless amount of websites when it comes to online dating for LGBT groups. Before you start browsing however, it is important to be aware that a significant number of these sites focus primarily on providing people with casual “hook-ups” or purely physical relationships, rather than helping them find a compatible partner for a long term relationship. You may well be better off signing up to a non-specialist dating site that has a large member database. Of the mainstream sites, the one with a relatively high percentage of LGBT members is match.com. This site has established credibility and excellent user review rankings. With only 0.3% of American adults identifying as trans, it can be frustrating to wade through such a large pool of singles. Match are experts on finding a specific lifestyle among the masses. That’s why they offer a powerful keyword search along with great profile options for making sure you find what’s really important to you. Remember, in a pool of 23 and a half million members. 0.3% is over 70,000 potential matches, TransgenderDate.com is one of the most popular niche trans websites, and can offer only 60,000, a great argument for choosing non-specialist. Another popular site amongst the LGBT community is Zoosk If you are a social networker then this site may appeal to you as you can sync your profile with your Facebook account and it’s easy to use the site from mobile devices. Zoosk has over 50 million members worldwide and a strong LGBT member base as well. Once you have found a dating site you are happy with, make sure your profile sends out a strong, clear message about the type of relationship you are looking for – a message that will make you easy to find if others are using the keyword search, and will be reinforced with your choice of picture. Finding that one person who you feel comfortable with, share things in common and have a general feeling that this could get serious is never easy. You have to be at the right state, the timing might not always be right and it gets much harder when your search pool is limited. With all these challenges, online dating sites provide a great solution to widen your connection pool and expose you to many profiles you might be interested in. Just remember, once you do finally meet, stay true to yourself. It’s all about just feeling naturally comfortable. Interested in learning more about finding lasting love in the transgender community? 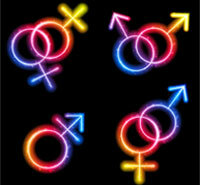 Check out the web’s top dating sites for LGBTs.